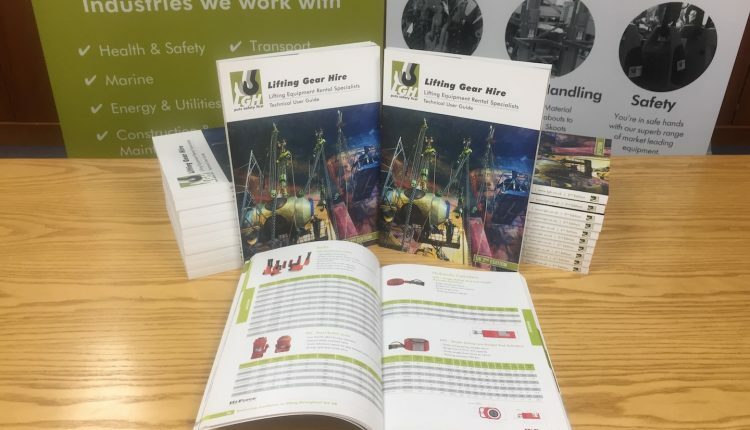 Lifting Gear Hire (LGH) has published a second edition of its award-winning Technical User Guide, featuring a host of new products and supporting information from the equipment hire company and its selected partners. The document will continue to be widely used by contractors, site managers, end users, and other professionals. LGH published 5,000 copies of the first edition, which won a Hire Association Europe’s Event Hire Association ‘highly commended’ award. A batch of the same number of the enhanced version has been printed and copies are already landing on the desks of existing and prospective customers. Product images, easy-to-read tables, safety information, and more are included in the 160-page publication. The user guide has proved multipurpose in that in serves as a tool for the sales team by providing detailed information on the company’s wide range of products, whilst also providing customers and end users with a reference point when selecting the right tool for the lifting, rigging, or safety application in hand. All additions that feature in the revised document are available as a downloadable PDF on the LGH website. However, should anyone with the original guide wish to replace it, they can request a copy. Copies of the user guide will be available from one of the LGH team at the upcoming LiftEx trade show, which takes place at Arena MK in Milton Keynes, UK on 14-15 November. The annual event will address representatives from the education sector in a strategic move by organisers, the Lifting Equipment Engineers Association (LEEA), to engage the next generation.